Camera can see through human body ? Scientists have developed a camera that can see through the human body. The device has been designed to help doctors track medical tools, known as endoscopes, during internal examinations. Until now, medics have had to rely on expensive scans, such as X-rays, to trace their progress. The new camera works by detecting light sources inside the body, such as the illuminated tip of the endoscope’s long flexible tube. Prof Kev Dhaliwal, of the University of Edinburgh, said: “It has immense potential for diverse applications, such as the one described in this work. Early tests have shown the prototype device can track a point light source through 20cm of tissue under normal conditions. Beams from the endoscope can pass through the body, but usually scatter or bounce off tissues and organs rather than travelling straight through. That makes it problematic to get a clear picture of where the tool is. The new camera can detect individual particles, called photons, and is so sensitive it can catch tiny traces of light passing through tissue. It can also record the time taken for light to pass through the body, meaning the device is able to work out exactly where the endoscope is. 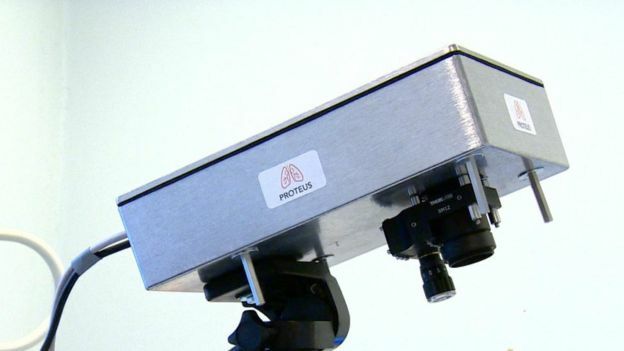 Researchers have developed the new camera so it can be used at the patient’s bedside. The project – led by the University of Edinburgh and Heriot-Watt University – is part of the Proteus Interdisciplinary Research Collaboration, which is developing a range of new technologies for diagnosing and treating lung diseases. Dr Michael Tanner, of Heriot-Watt University, said: “My favourite element of this work was the ability to work with clinicians to understand a practical healthcare challenge, then tailor advanced technologies and principles that would not normally make it out of a physics lab to solve real problems. How many times a day do you check your smartphone? According to a recent survey, the typical American checks once every 6½ minutes, or approximately 150 times every day. Other research has found that number to be as high as 300 times a day. For young people, the attachment is particularly acute: 53 percent of people between the ages of 15 and 30 reported they would sooner give up their sense of taste than their smartphones. These data strongly suggest that many may, indeed, be addicted to their smartphones. I’ve studied shopping addiction for 20 years and have a pretty good sense of when normal behaviors veer into unhealthy preoccupations. The fact that 80 to 90 percent of people use their phones while driving — which, by one estimate, causes 6,000 deaths and US$9 billion in damages annually — is a clear sign that something is amiss. 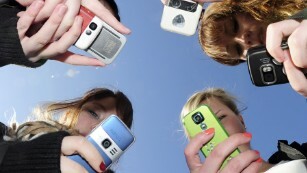 And as a college professor, I’ve seen, firsthand, the overwhelming distraction caused by smartphones in the classroom. Why do people risk their lives — or the lives of others — for the perfect selfie? But I also wondered: Are some people more likely to become addicted to their smartphones than others? There’s a good body of research tying certain personality types to being prone to other addictions. Could a similar link exist for smartphone addiction? Solar Impulse 2 is halfway to making aviation history. The plane took off from New York’s John F. Kennedy Airport on Monday and is making its way across the Atlantic Ocean to Seville, Spain. If successful, it would be the first time an emissions-free airplane has crossed the Atlantic. Solar Impulse 2 is expected to land in Seville on June 23rd after a four-day, nonstop flight. It’s not the first time the pilot, Bertrand Piccard, has made the journey, but this trip may be his most significant. From Spain, Solar Impulse 2 will continue on to Abu Dhabi, where it began it’s journey in March 2015. You can follow the plane’s progress online here. Fifteen years ago, China decided to build homegrown processors for PCs, servers, and supercomputers. Now the country’s latest chip is powering the world’s fastest computer. The Sunway TaihuLight at the National Supercomputing Center in Wuxi, China, was ranked as the world’s fastest supercomputer on a Top500 list published on Monday. It runs on a homegrown ShenWei processor and is capable of 93 petaflops (million billion floating point operations per second) of sustained performance. Its peak performance can reach 125.4 petaflops. The supercomputer is a big statement that China doesn’t have to rely on U.S. technology for its IT needs. China used Intel’s chips to build the world’s second fastest supercomputer, the Tianhe-2, which until recently held the top spot on the Top500 list. “They are trying to show their moxie here, and they are doing a pretty good job,” Brookwood said. Developing a high-tech chip gives China bragging rights to stand up against countries and top chip-makers like Intel. It’s also a matter of cost, Brookwood said. “China spends more on IT equipment than oil,” Brookwood said. China, the U.S., Japan, and European countries are in a constant race to build the world’s fastest computer. China had 167 supercomputers on the Top500 list, beating the U.S., which had 165. The Sunway TaihuLight has the ShenWei SW26010 processor, a monster 260-core chip. Each chip delivers a performance of 3 teraflops, which Top500 rated as being on par with Intel’s latest Xeon Phi chip code-named Knights Landing. That chip is rated as one of the company’s fastest. This idea is appealing for companies who want as many ways to sell their products as possible. On the other hand, if more businesses start selling on Facebook, they’ll be at the mercy of Facebook’s algorithms and probably have to start buying ads to make sure people see their products. 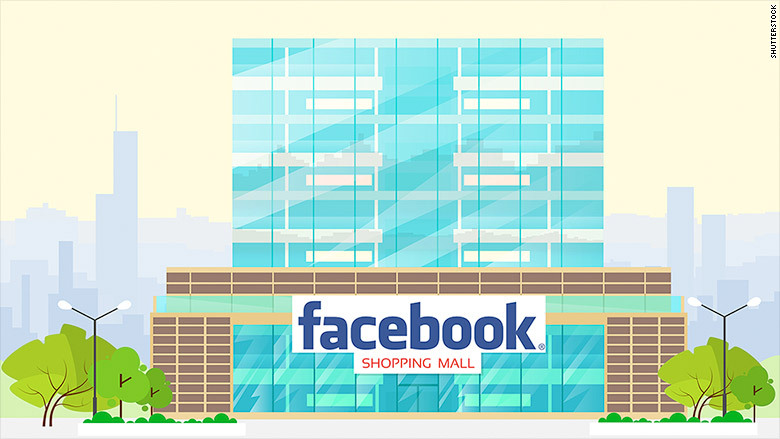 Facebook could also start taking a cut of sales in the future, resulting in possibly higher prices for customers. At the end of the day, this experiment will likely become a reality. It fits well with what Facebook has already become very good at doing — online communication and advertising. During its F8 conference earlier this year, CEO Mark Zuckerberg announced that users will be able to chat with businesses and track packages within Messenger, and transfer money between friends. Giving companies a way to sell their products would tie these strings together. More importantly, the plan would reinforce Facebook’s message that the data it has on its users are better than anyone else’s. This is especially important for ad targeting. After all, if you’re an advertiser paying to show people a post that people can click on to buy something, you’ll see an immediate and direct pay off for your investment. Google (GOOGL, Tech30) — Facebook’s biggest competitor — has been working on its own version of a “buy now through us” strategy. Just this week, Google launched the ability for businesses to sell products through its site, so that when people click on a Google shopping ad, they’re taken to the page where they can check out using saved payment information from their Google accounts. Social media is about engagement, so there’s often quite a large debate about adding any automated elements to a social media campaign. Because let’s face it—no one wants to follow an account that’s essentially a bot. Or do they? While some automation tools do nothing but make your social media profile look like an announcement board, other tools can be used to sync right into your normal engagement to give it a helpful boost. Microsoft has released their advance notification for the October 2014 Patch Tuesday updates. There will be a total of nine updates issued next Tuesday, October 14, three of them rated critical. The three critical updates address problems in Internet Explorer and all versions of Windows. The first update, for Internet Explorer and Windows, is rated Critical on Windows client systems and Moderate on servers. The problems are likely mitigated by the Enhanced Security Configuration in Windows Server. The other two critical updates, affecting Windows and the .NET Framework, are critical on all Windows platforms, with a couple exceptions for Server Core. Four other updates affect Windows. One is rated Moderate and the others Important. The Moderate bug also is listed as affecting Microsoft Office 2007 IME (Japanese). Another update to Office affects Office 2007 and 2010 on Windows, Office for Mac 2011 and the Office Compatibility Pack SP3, is rated Important on all. The final bug is a security bypass vulnerability, rated Important, in ASP.NET MVC versions 2.0, 3.0, 4.0, 5.0 and 5.1. Microsoft will also release a new version of the Windows Malicious Software Removal Tool and probably some as-yet undisclosed number of non-security updates to various Windows versions. It has also become popular for other companies, most prominently Adobe, to release security updates for their own products on that day.